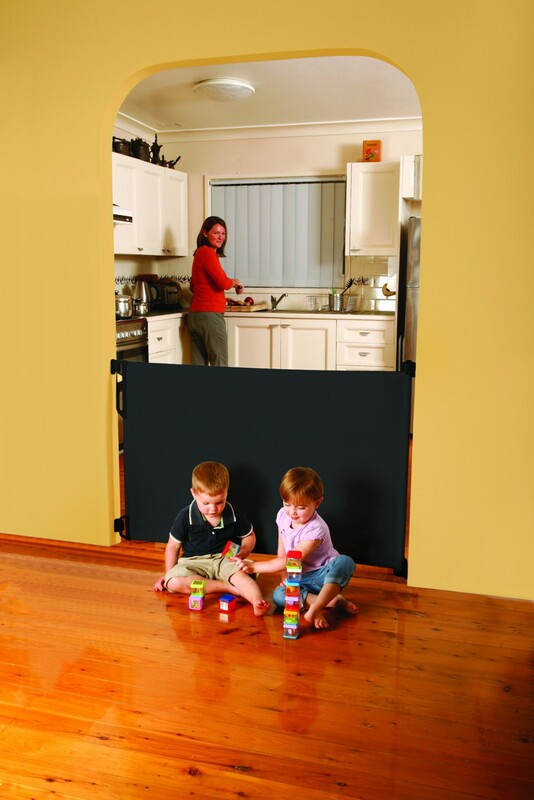 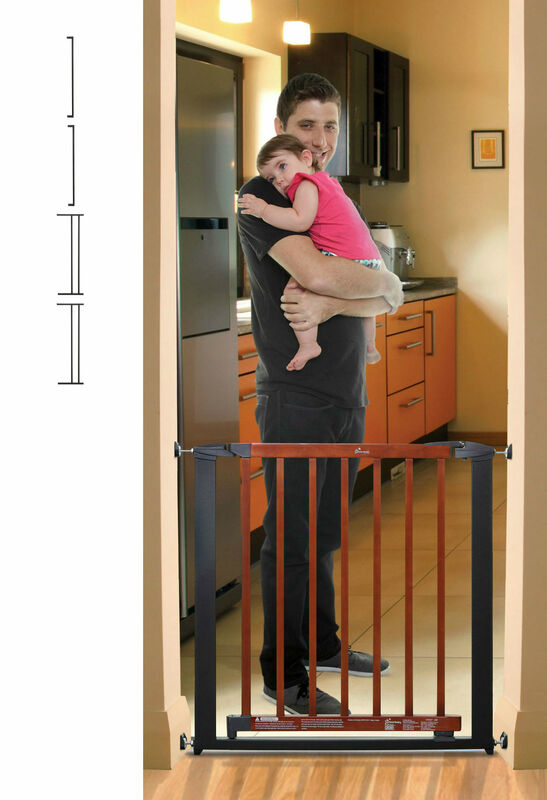 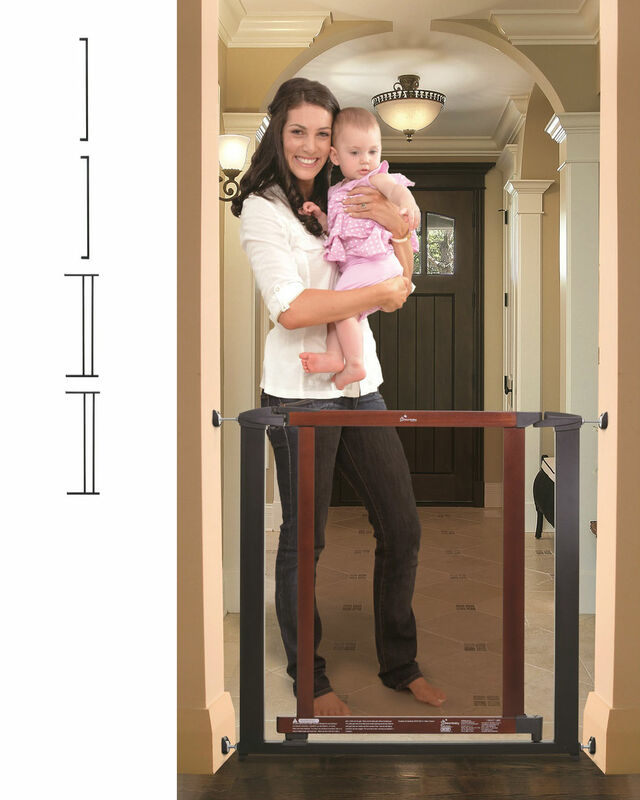 Metropolitan Pressure Mounted Baby Gate Plus 2.5″ and Two 7″ Extensions-Charcoal w/Cherry Color Wood has a charcoal colored, steel frame with a cherry color wooden door frame and strong, tinted, polycarbonate panel. 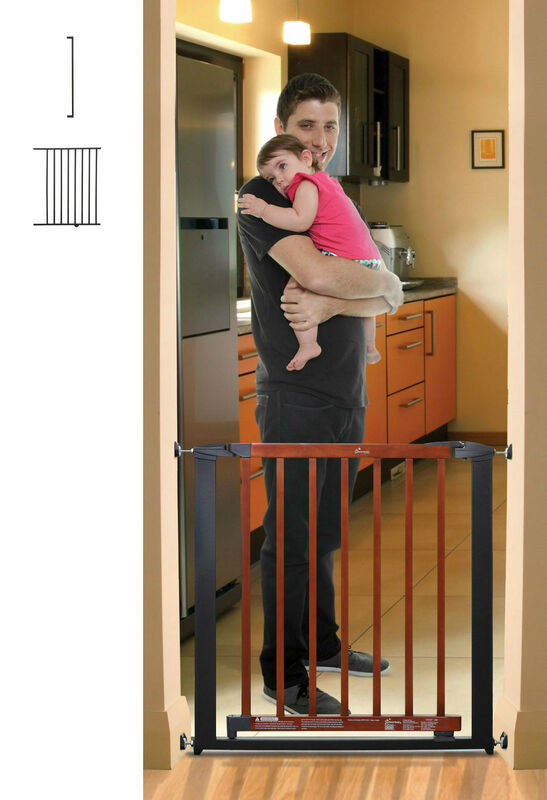 Door swings open in both directions. 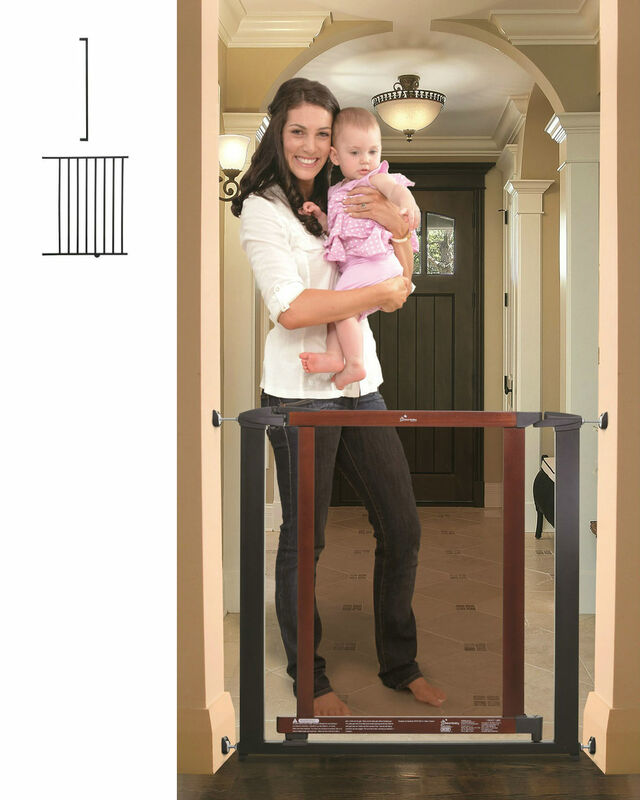 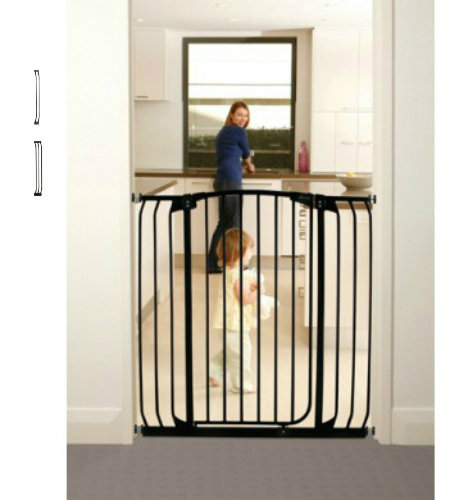 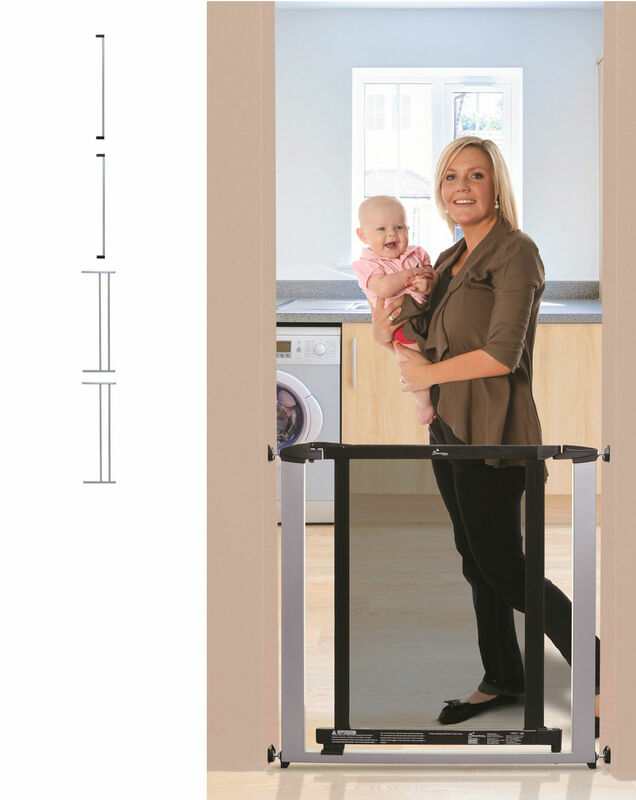 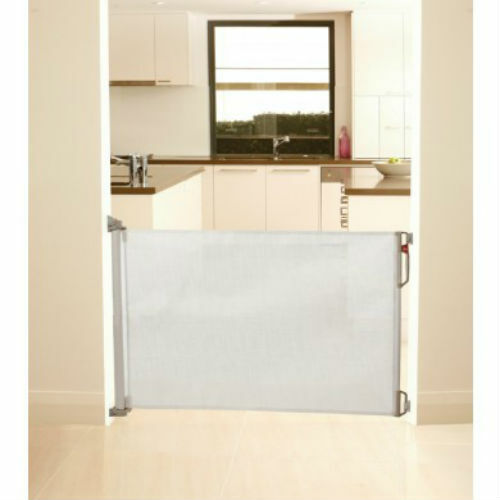 Metropolitan Pressure Mounted Baby Gate Plus 2.5″ and Two 7″ Extensions-Silver with Dark Wood has a silver colored, steel frame with a wooden door frame and strong, tinted, polycarbonate panel that swings open in both directions and swings closed automatically. 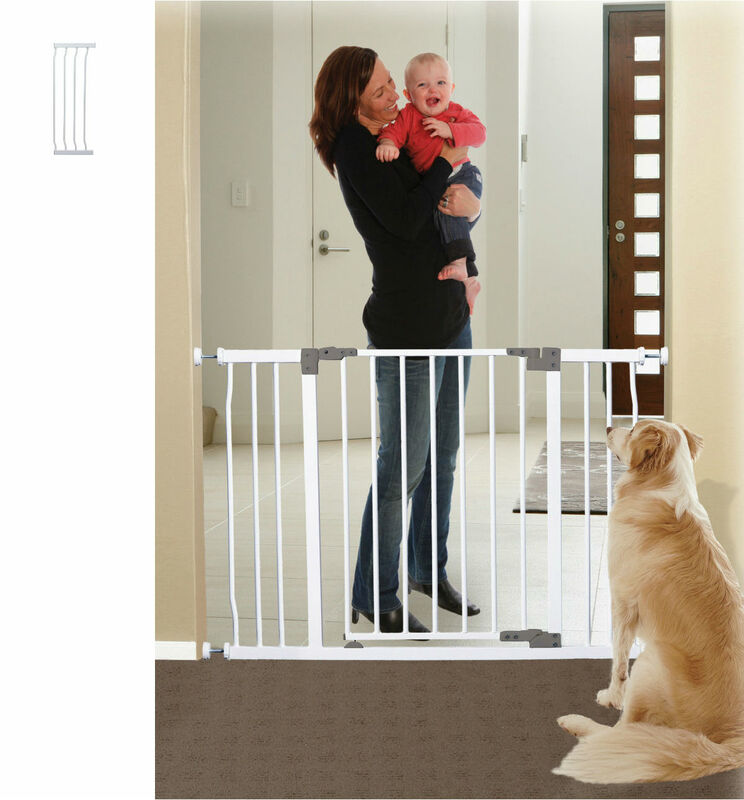 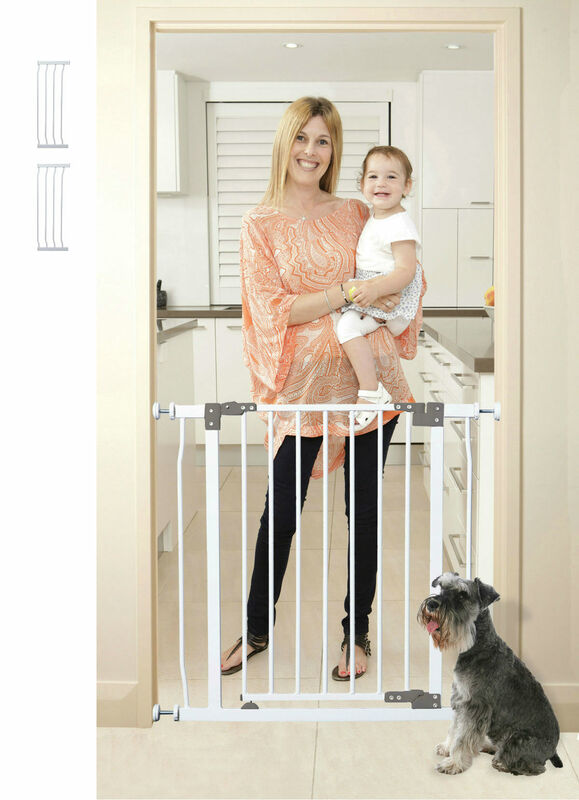 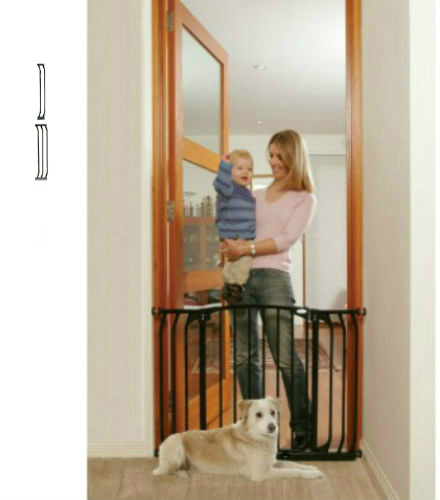 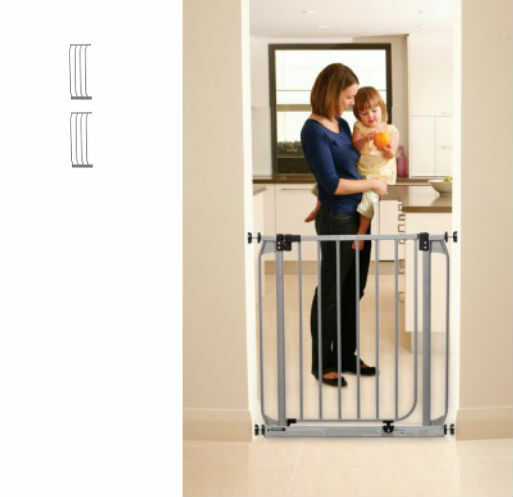 Windsor Pressure Mounted Baby Gate Plus one 2.5 and two 7-Silver with Dark Wood has a silver colored, steel frame with a dark wood slat door that swings open in both directions and swings closed automatically.